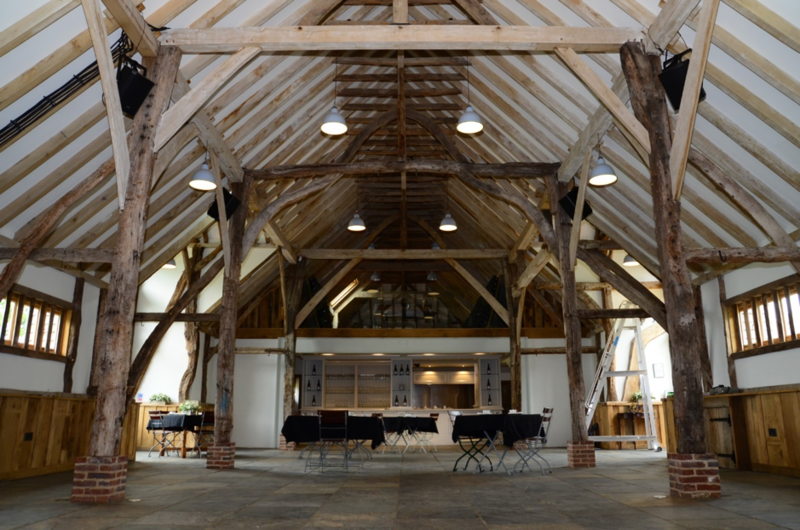 We were initially approached by David Perkins, the Estate Manager of Kingscote Vineyard as they were looking to host wedding reception functions within the tithe barn located on the estate. 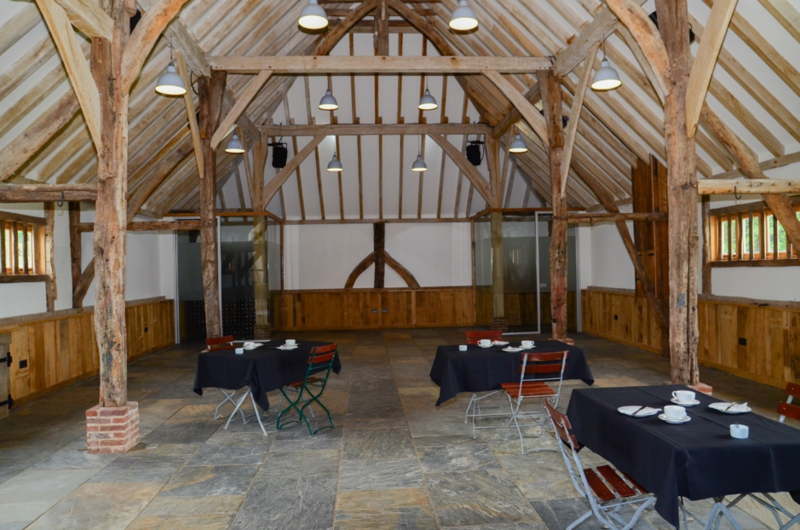 The barn had previously been used for presenting cookery classes and for commercial conferences. As this was a change of use they wanted to ensure that the wedding events did not cause a noise nuisance to nearby residential neighbours. A planning application was also submitted to the local authority. An initial assessment was carried out to assess levels of music noise and patron noise relating to the planned use as a wedding venue. Areas of concern were music noise, patron noise and noise from vehicle movements. 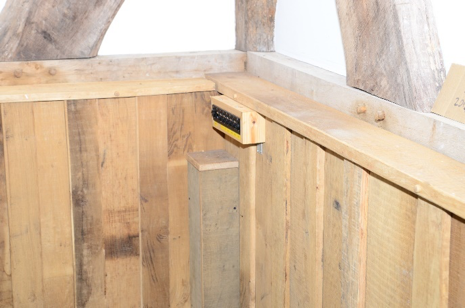 In order to provide realistic internal music noise values in the barn for the purpose of the survey, a DJ was commissioned to set up his equipment in the barn in the normal way. The DJ was asked to select a music track with a particularly high bass content and this track was repeated each time a measurement was taken. During the visit, measurements in the barn were taken of the music noise level (set up by a DJ) on the dance floor. A NOR 118 Analyser was used hand-held and internal correspondent levels and audibility checks were also taken at the two Nearest Sensitive Receptors. Using an automatic volume controller to provide positive control of the maximum music noise levels that can be generated. Once the agreed measures have been implemented, setting the maximum music noise levels on the dance floor such that noise levels affecting the nearby noise-sensitive properties is controlled to the agreed criterion levels. A strategy for control of the use of the car parks and the pedestrian access routes to the barn was devised in order to minimize noise effects of patrons arriving at and leaving the venue. 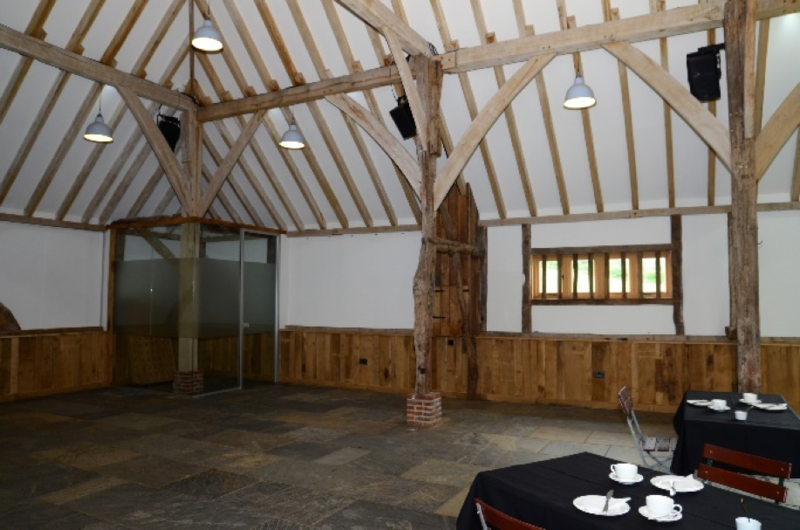 Further discussions took place with the client who then requested that we provide a proposal to supply and install the sound system for the venue. 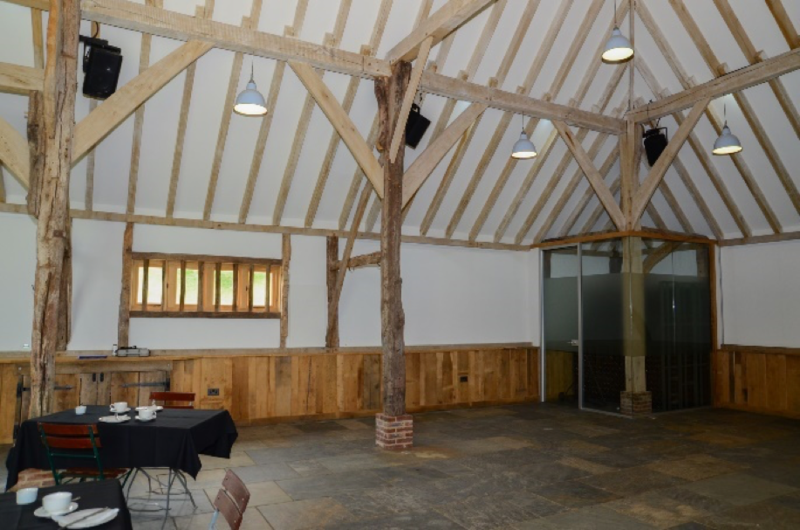 Simon Barrett, Acoustic Consultant in our team, put together the proposal keeping the costs within the client’s budget and following commissioning by the client, was delighted to manage the project from start to finish. The system was devised utilising 4x Tannoy VXP8 and 2x QSC K8 powered loudspeakers, mounted on brackets and focussed toward the “Dancefloor area”. Control of sound sources was via a Cloud CX163 zone mixer and the overall sound level limit was initially (see final paragraph) controlled via a Formula Sound Sentry Mk2 with AT-1 unit linked with a Beyer-Dynamic MM1 Measurement Microphone. Cabling to the speakers was VanDamme Ambicore Hybrid Signal/Power cable and kept as concealed as possible by running it over the high beams of the barn. 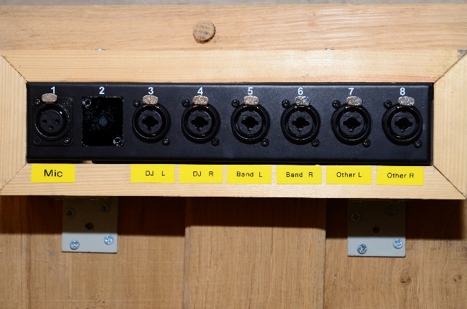 DJs and Function Bands connect to the system via a customised stagebox using Neutrik Combination XLR/Jack sockets. There is also a designated microphone socket for anyone making speeches. 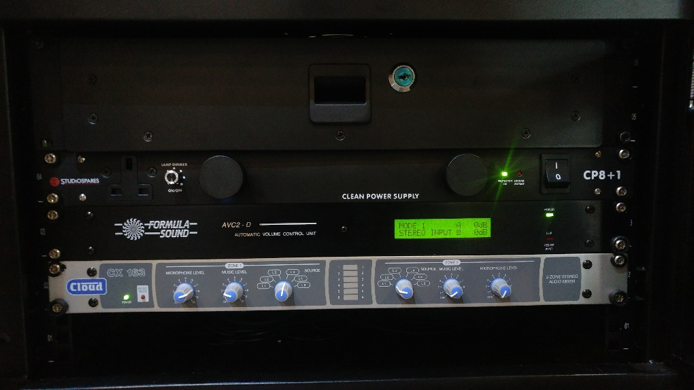 The Cloud CX163 zone mixer has, by default, a useful “ducking” feature; any music playing through the system is attenuated whilst the microphone is being spoken in to, which makes it very useful for announcement purposes. The microphone provided was a Sennheiser E835s. This switched version of the popular E835 was provided for operator simplicity, meaning the microphone sound level can remain set on the mixer and the user can simply just switch the microphone off and on as required. This is ideal for the operation of the venue. 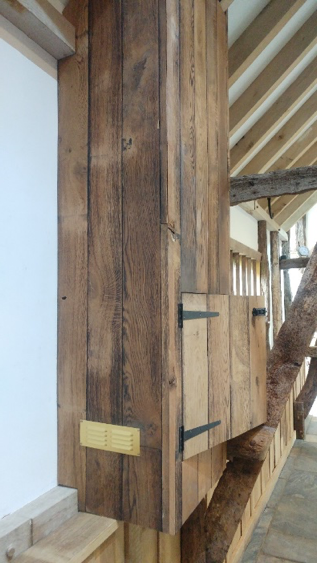 Following the installation by Simon Barrett and Martyn Chambers, over the course of a few days, the system was then tested and the limiter set so that the appropriate sound level defined by the initial site visit would not be exceeded. This was confirmed using the Norsonic Nor140 sound level meter within the venue giving an LAeq, 3min. Additionally, listening tests were carried out to ensure inaudibility at the nearest noise sensitive receptors. This coincided with a visit from the Local Authority to the site along with local residents who we understand were all satisfied with the outcome. 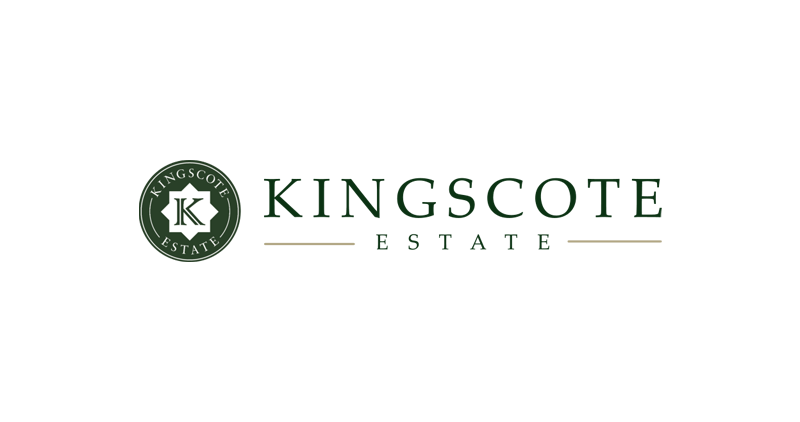 The noise limiter, it turned out, was not as appropriate as it should be and causing issues during normal use: Discussions were had with Kingscote Vineyard and Internally and it was decided that a more appropriate unit would be the Formula Sound AVC2D. This no longer required the use of the measurement microphone to maintain correct sound levels and works fully within the electronic path instead. Following this system revision, the sound limits were once again set and tested with multiple music tracks to ensure correct operation. Audibility tests were carried out at the nearest NSRs to ensure inaudibility, which was confirmed. All was now working as it should be and staff were retrained with regard to how to operate the revised sound system. The sound system installed has achieved the necessary control of music noise through it as originally required whilst maintaining a very high music quality within the venue. Google, Cushman & Wakefield, & (AMCI) Mazda. They also hold weddings at the venue.